Basic front desk module which assigns each patient with a unique lifetime registration ID to enable easy data retrieval anytime. Registration contains all mandatory details of the patient. Registration can be for any patient who comes to the OPD.Registration can be for clinical consultation, diagnostics etc. are cross linked with referring doctors, visit details, appointments scheduled etc. Billing is part of the module so as to enable bill generation & cash mgmt at the reception counter. Report analysis is possible on various details of the patient as well as consultants. The Out Patient Department System includes the following modules. Add, Update, View, Search Records. Consultant timings , days etc. Generation of printouts for registration, billing, OPD tickets etc. Cash mgmt of the registration for OPD, IPD can be done at this stage itself. Payment statements for the admin for MIS as per requirement. Analysis of the data mined to convert info meaningful info required for informed decision-making. Basic MIS of utilization, category-wise revenue generation etc in-built. Analysis / report-generation as per requirement. Integral part of the front desk module, wherein either after the basic registration & consultation; or through the casualty / ER, the patient is admitted to the healthcare provider institution. The module manages admissions & discharges. Advance bookings for admissions, rescheduling etc are possible from the admissions counter. Patient data retrieval & at a glance information about the admitted patient & the available vacancies / occupancies is easily accessible. Common database of consultant details from the OPD module is accessible. Cash management & billing is also available in the same module. The In Patient Department System includes the following modules. Add / Update / View / Search Records. Additional ID for IPD registration. Search, Confirm Admissions, Transfers, Discharges. Analysis of the data mined to convert info meaningful info required for informed decision making, report-generation as per requirement. Complete database of Pharmacy inventory is done according to their respective brands, batch ids & expiry dates, used by the hospital are maintained in a database. Database of all authorized suppliers with specific details maintained. 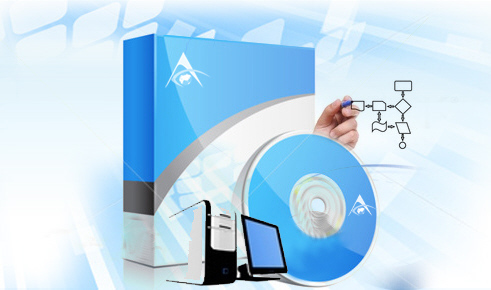 Reports & MIS as per suppliers listed, utilization etc can be easily generated. Complete database of non-pharmacy inventory like equipment [ medical as well as non- medical ] , linen, stationary, sundry items etc. Database of the approved suppliers for each item is maintained Billing & cash management is available through the module. Reports & MIS as per suppliers listed, items, utilization etc can be easily generated. The Inventory System includes the following modules. Add new patients to existing database. Unique patient Id and Patient record Id for managing future list. Maintains Records of previous visits. Data entry validation and printer formatted reports. Doctor's referrals and amount collected from relevant patients. Record of Incentives are also calculated doctor wise & can be analyzed between any two dates.